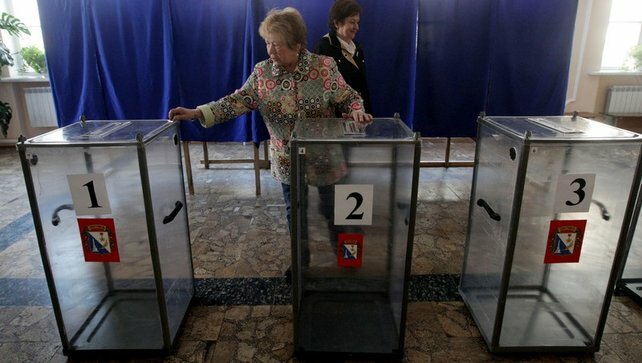 The results of the referendum today in the Crimea put the concept of self-determination to the test. Reports from the Crimea today indicate that upwards of 90 percent of voters support the region leaving Ukraine and becoming part of Russia. They rejected a second proposal that would have involved the Crimea seeking more autonomy within Ukraine yet remaining a part of the country. The results of the referendum were dismissed by the vast majority of the world community with the new Ukrainian government calling it a “sham,” and the United States likened it to a military takeover due to the presence of Russian troops and pro-Russian militia forces in the region. The overwhelming negative reaction of the rest of the world is curious in light of the supposed importance of self-determination. This is one of the dominant principles that is supposed to govern international relations today. The United Nations charter states the importance of self-determination in its first article, that it is one of the key principles of relations between nations. The argument is that a people should always be able to determine who governs them. This can also be connected to the concept of popular sovereignty, which is the principle that a government obtains its legitimacy from the people it governs. It can be argued that the referendum in the Crimea is an expression of self-determination. The people of the Crimea have a right to determine who governs them, whether that is a government in Kiev or Moscow. If this principle is to be respected and extended to all people in all places, then what is the source of the outrage over the referendum? The world community would likely reply that the referendum itself is not a legitimate expression of the will of the people in the Crimea. They would point to the overwhelming presence of Russian military forces and argue that a truly free electoral process cannot exist under such circumstances. They would likely further argue that Russia itself is dictating the political process. Crimea would not have scheduled such a referendum if they did not already have some assurance from Russia that Crimea would be accepted into the country. These are powerful arguments, however it is not beyond the realm of possibility that the citizens of the Crimea would vote to join Russia entirely on their own accord. There are historical and ethnic factors that support this. The first fact is that the Crimea is home to a significant majority of ethnic Russians. These are people who speak the Russian language and identify with Russia culturally. The world community’s argument that the Russian military is “forcing” these people to vote to join Russia is significantly weakened by this fact. These ethnic Russians would need no such pressure to vote in favor of what they perceive as their true homeland. The second fact is that the Crimea was a part of Russia in the past and was only recently “given” to the Ukraine by the former Soviet government. Russia first took control of the Crimea during the reign of Czar Katherine the Great and has exerted influence over the region in one form or another ever since. It was “returned” to Ukraine by former Soviet leader Nikita Khrushchev in a move that was highly controversial then and remains controversial today. It was never a popular decision in Russia, nor in the Crimea itself. So there is historical precedent for Russia’s presence in the region as well. These factors together make the case that the referendum in the Crimea can be seen as a legitimate expression of self-determination by the people there. This brings back the old question of the value of principles in light of more practical concerns. Is the self-determination of the people of the Crimea more or less important than the larger geo-political issues involving the power and influence of Russia, Ukraine, and the European Union? Is the opposition of the world community based on concern for the people of Crimea, or concern as to the relative power of the Russian state? This is why the Crimea referendum results put the principle of self-determination to the test. 3 Responses to "Crimea Referendum Results Put Self-Determination to the Test"
Excellent summary. Most in the U.S. have no clue about actual Russian history. That includes, unfortunately, idiots like Sen. McCain. Good work! Very well said! I agree this referendum to me seems more legitimate than not and the US and EU are just upset about Russia expanding its influence. 2. It is incorrect to say Crimea was “returned” to Ukraine. Before 1954 Crimea had not been part of Ukraine which itself didn’t officially exist until after the Russian/Soviet Revolution. Moreover, during the Soviet and post-Soviet eras Crimea always had an autonomous status (Autonomous Republic).